Definition at line 734 of file ndis.h. Definition at line 746 of file ndis.h. Definition at line 738 of file ndis.h. Definition at line 742 of file ndis.h. Definition at line 735 of file ndis.h. Referenced by NdisDprAllocatePacketNonInterlocked(), and ProSendPackets(). Definition at line 750 of file ndis.h. Definition at line 749 of file ndis.h. 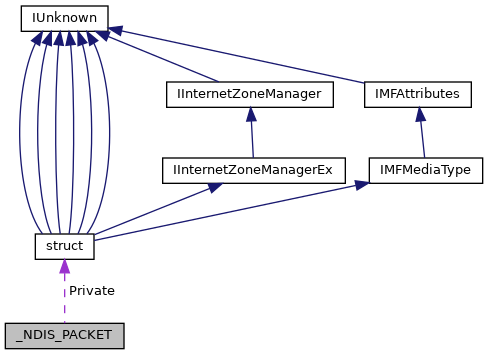 Referenced by MiniIndicateReceivePacket(), and NdisDprAllocatePacketNonInterlocked(). Definition at line 739 of file ndis.h. Definition at line 743 of file ndis.h.